Are you looking for a new home in West Calgary? The Westside communities are some of the most desirable in the city and some are continually expanding through the development of new subdivisions. There’s currently a handful of neighbourhoods in the area offering new home purchasing opportunities like Aspen Woods, Springbank Hill and West Springs to name a few. 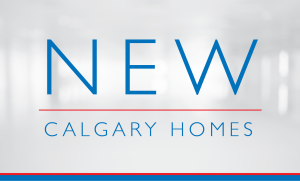 Below are all new construction homes in West Calgary currently available on the MLS® ranging from brand new to five years old. Call us anytime or send a message below if you have questions about listings or want to know more about acquiring third-party representation to help guide you through your new home transaction! When buying a new construction home, it’s important you have an experienced real estate agent by your side to protect your best interests and help negotiate with the developers sales team. Remember, the sales reps don’t work for you – they work for the builder! It’s also important to remember that acquiring professional representation when buying a new home in West Calgary costs you nothing. It’s the developer who is obliged to pay your real estate agent – not you! Get an experienced REALTOR® by your side, one who will help you get the most value for your dollar when buying new! Questions about New Homes in West Calgary? Don’t settle for anything less than the best when buying and / or selling a new home in West Calgary! As REMAX Professionals and REALTORS® with many years of experience in helping people buy and sell new homes in Calgary, we guarantee to provide you with only the best service, advice and third-party representation while guiding you step-by-step through your new home purchasing transaction. Call anytime or message us below and we will get back to you promptly, if not immediately. We are looking forward to helping you accomplish your new home plans in West Calgary!